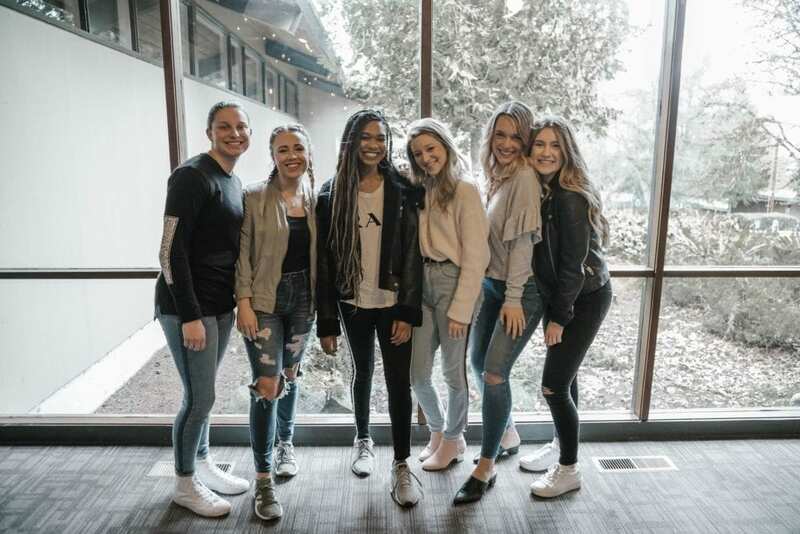 Northwest University’s campus ministries department is hosting an women’s one-night conference Friday, April 12, in Butterfield Chapel. All women are welcome to attend and are encouraged to bring friends from school and the community for a night of celebrating how God is working in the lives of women in the NU community. The evening will kick off at 7 p.m. with a Revolution Donut truck serving fresh, doughy goodness, and coffee donated from Woods Coffee. Celebrate features an all-female worship team of NU students and guest speaker Pastor Christina Gilbreath. Gilbreath and her husband have two daughters and live in the Bay Area and work at a church there. Megan Netherton, the Campus Ministries Assistant, shared a little about the history of Celebrate. Three years ago, there was a Celebrate Conference, but this year Celebrate Conference is back for good and will be happening on campus bi-annually. According to Netherton, the Celebrate tagline is “celebrating the present, but empowered for the future,” which focuses on celebrating in the hard and good times. Brenda Rasmussen, the director of music and ChicChat at Northwest, commented on how the Celebrate conference came together. Rasmussen says she has a heart for young women at Northwest, and used her resources and leadership to put together the Celebrate Conference after hearing from students about their desires for a conference. Thus, Celebrate was born out of Chic-Chat, another NU women’s campus ministry. Put aside your regular Friday night plans and be prepared for God to do great works in a night devoted to celebrating the women of NU and all that God is doing in their lives as His beloved daughter.